GWARRR! Time to get your BIG MEAT EAT ON! Today I'm bringing you a meal of EPIC proportions! And as usual I'm trying my best to give you guys great, different, easy and primal meals! 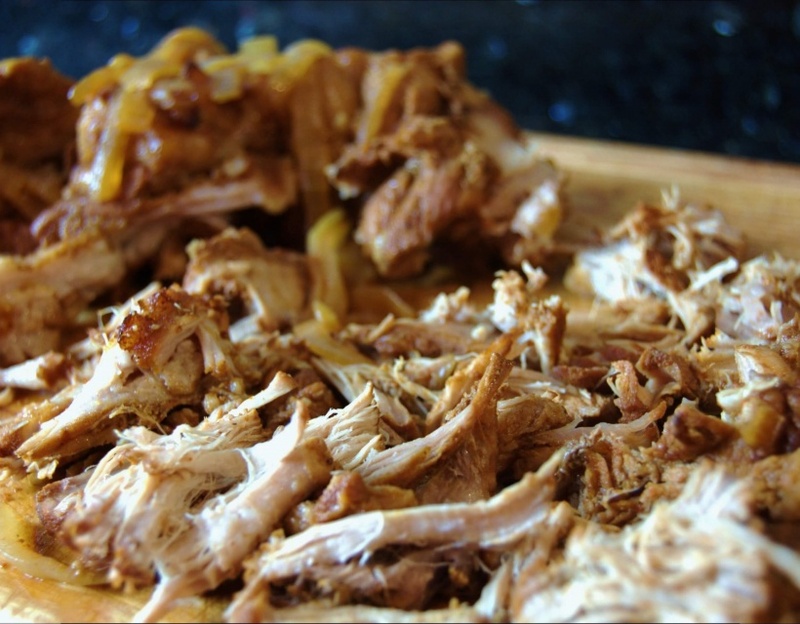 So what better way to celebrate this than with some gorgeous pulled pork! That's right you heard me! PULLED PORK DAMN IT! I'm having to get my bib out all over again as I'm already salivating at the thought of it! Now you BBQ lovers probably already know what this is, but for all you out there that don't, and as mentioned food for the gods! 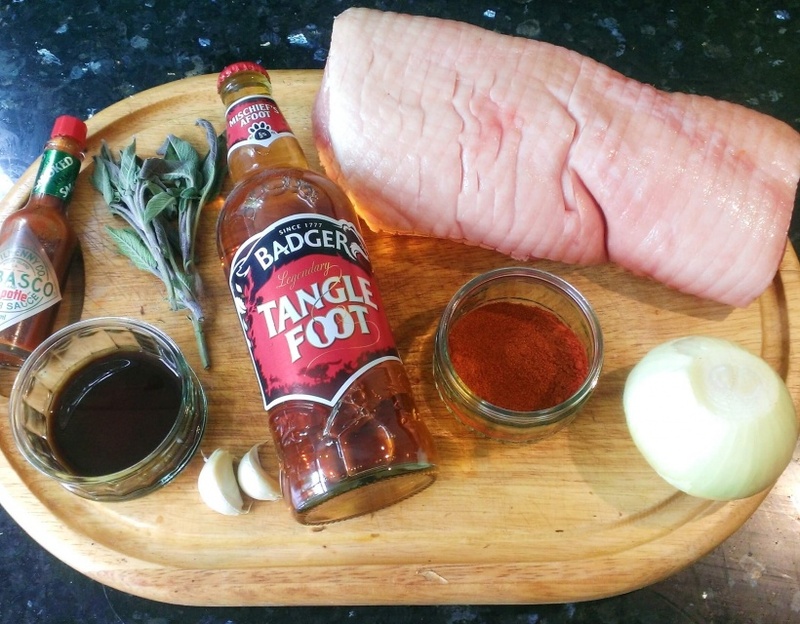 Its pork that's so tender it falls off the bone, prised away with forks to give you shredded pork pieces, flavoured with a deep smoky marinade! This is all normally served in a sandwich but being the gluten free warrior I am, I had mine with a homegrown salad! Anyway I'm sure you're chomping at the bit to know hoe to cook this! So lets get makin' & bakin'!! 1 bottle of booze or about 500ml, this can be beer, wine, cider up to you! CHOP onion, garlic and sage up and bosh it in your big stew pot! Add a little olive oil and turn up the heat, so we can release all those gorgeous flavours! Remember to keep and eye on those onions don’t let them burn! *Coff* like I might possibly have done lucky I like them slightly burnt! 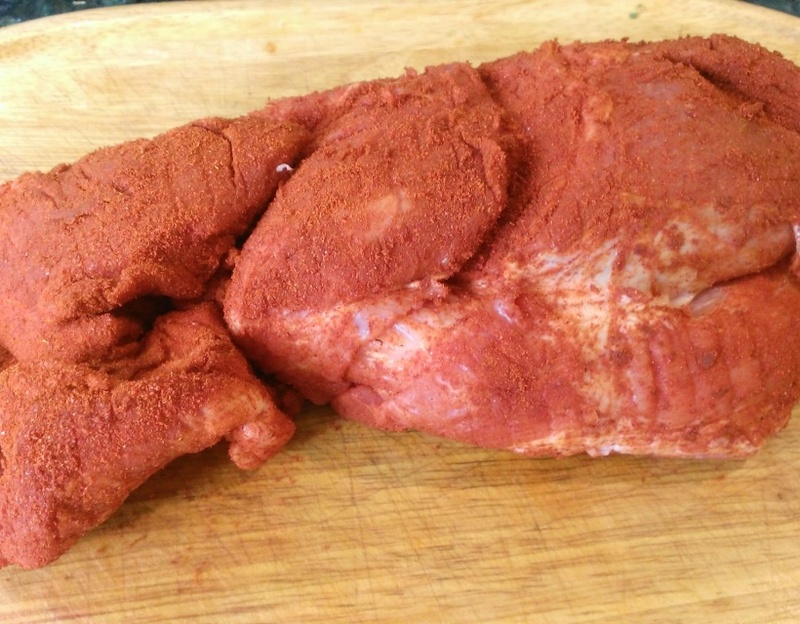 GRAB your spices and rub them into your pork! Ha! CHUCK it in the pot and seal the outsides of the meat, we do this to hold in the juices and flavour! OPEN up your bottle of plonk and pour it in! Be careful of mischievous old men that might come past and steal it before you use it too! Like my dad might of! Vengeance will be mine! 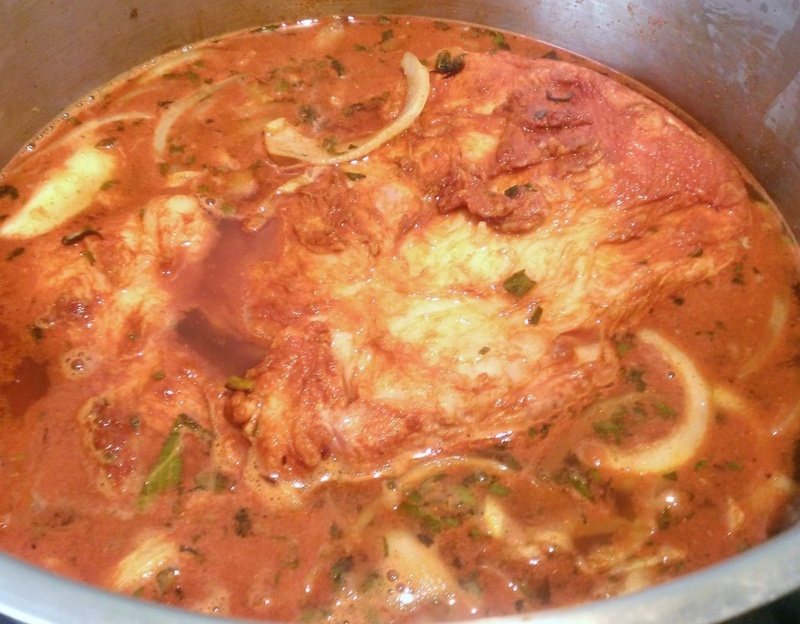 ADD the water, Worcester sauce, tobasco and a bit more smoked paprika and gently bring to a simmer. SLAM it in the oven for 2-3 hours, this depending on the side of your joint. The house filled with deep BBQ rich smells leaving my stoma h roaring with anticipation! Ok nearly there just pull it out the oven and then out the pot! Now using two forks prize it pork apart, to create this beautiful shredded texture! All that’s left is to serve! Plate up however you like, I served mine with some fresh crisp homegrown salad and topped with my homemade BBQ sauce that I’ve made before! MMMM! The soft, delicate, tender pork practically melting in your mouth, with the smokey infused flavours and slight spicy tingle leave you speechless and quickly reaching for more! Enjoy this amazing meal guys!